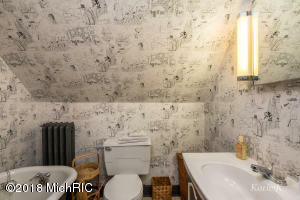 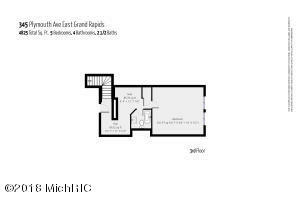 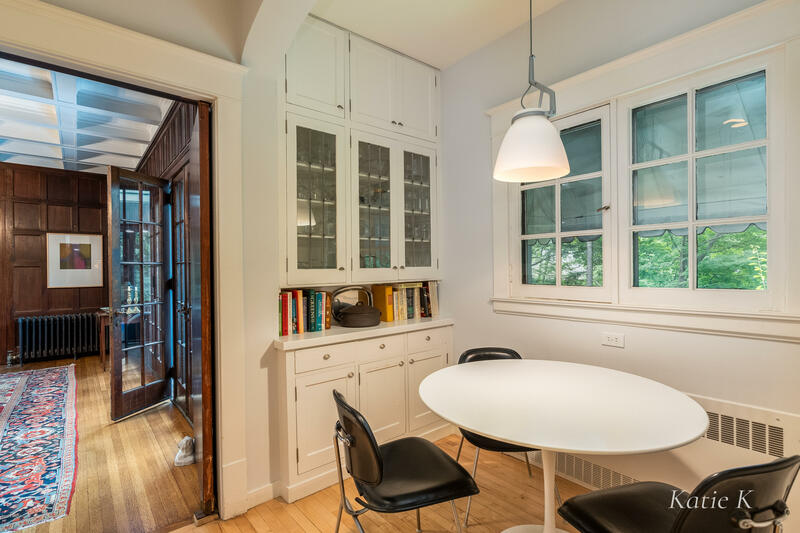 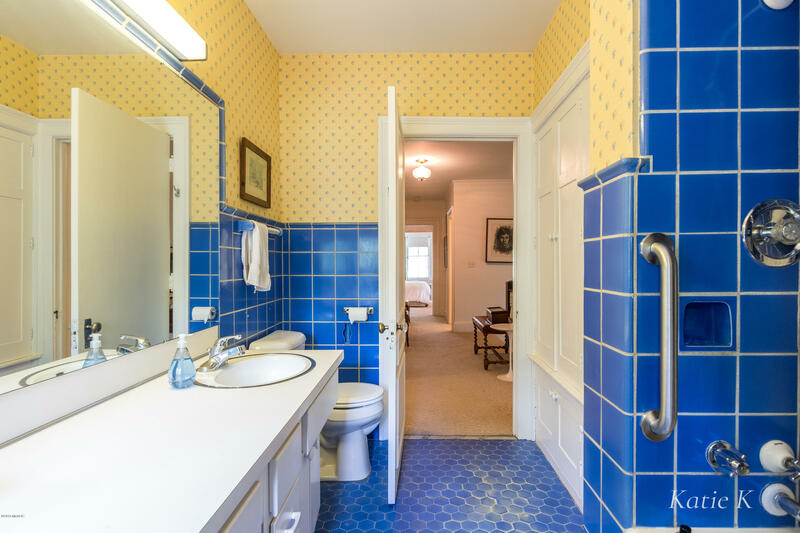 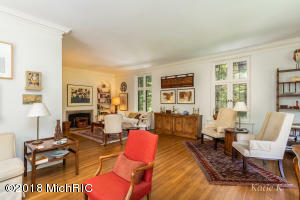 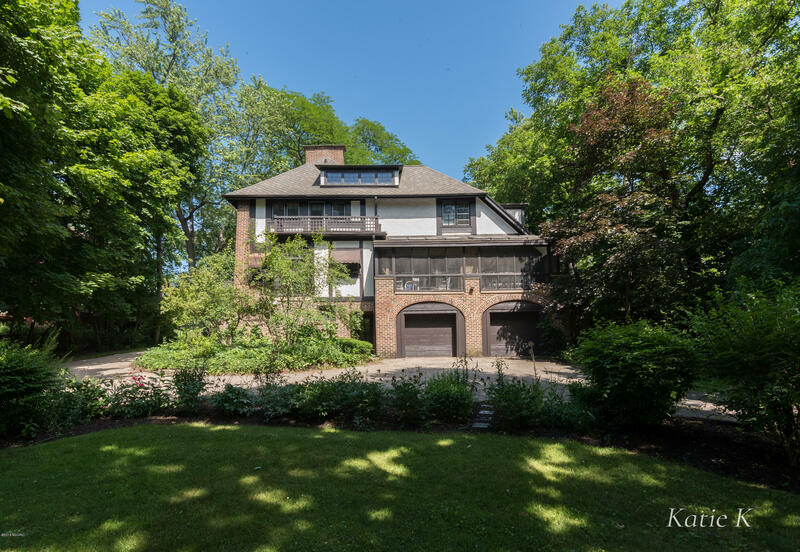 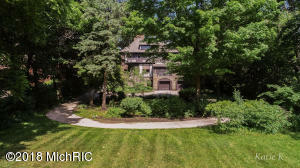 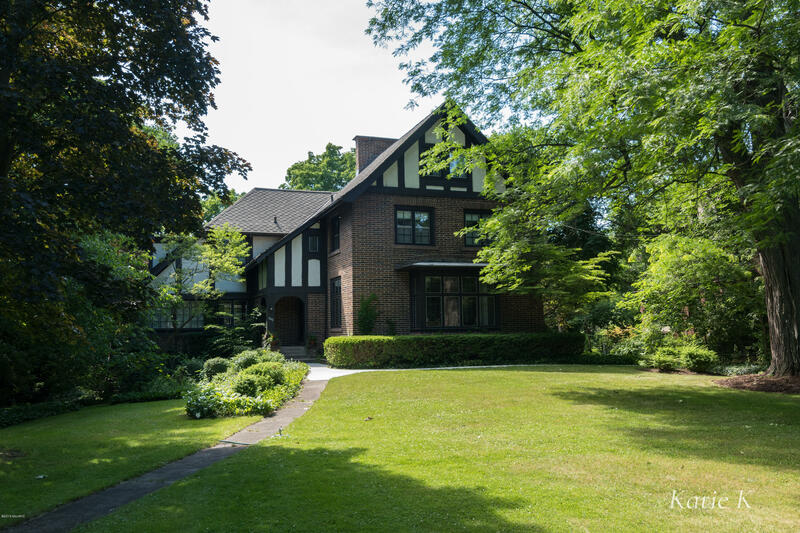 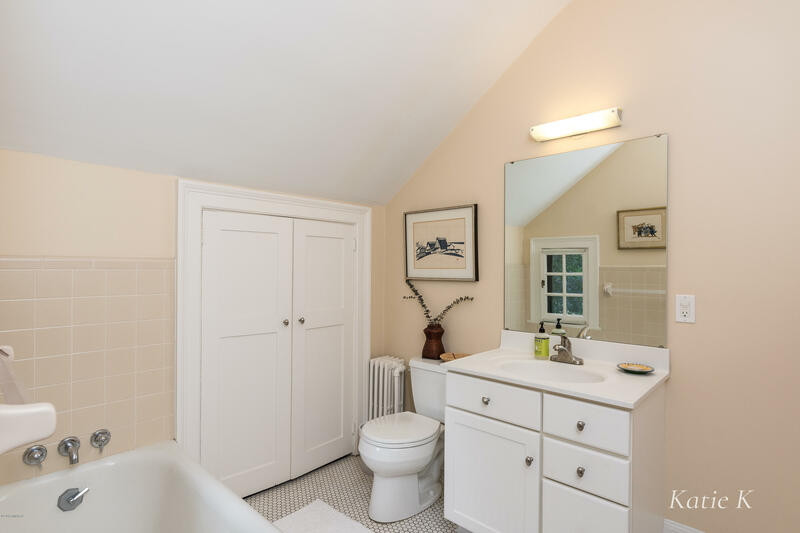 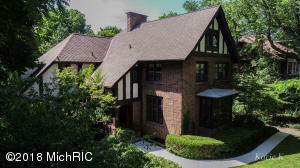 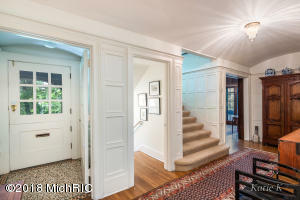 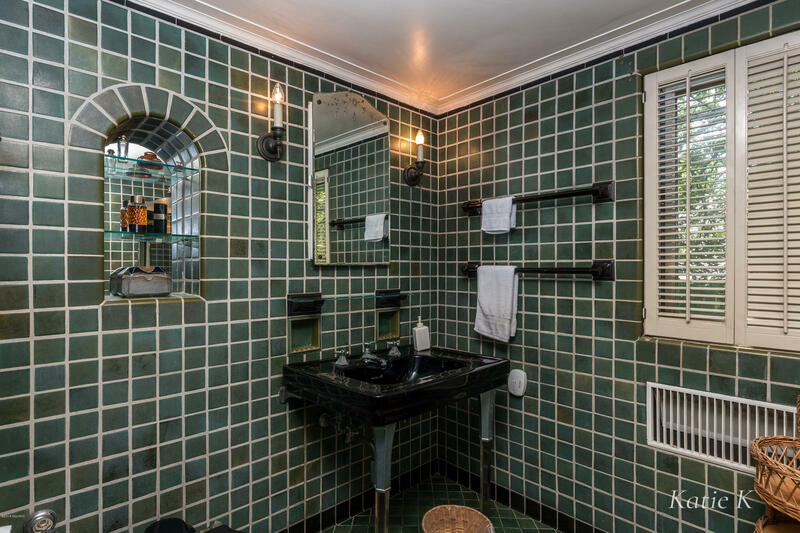 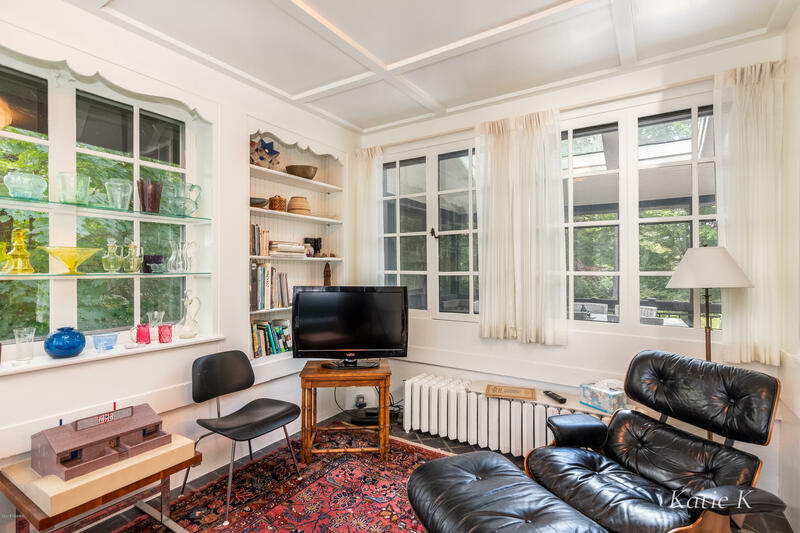 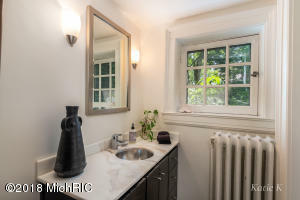 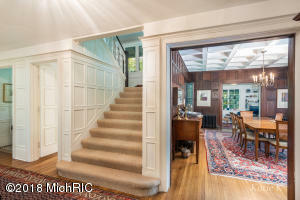 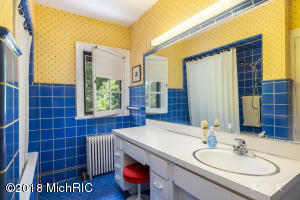 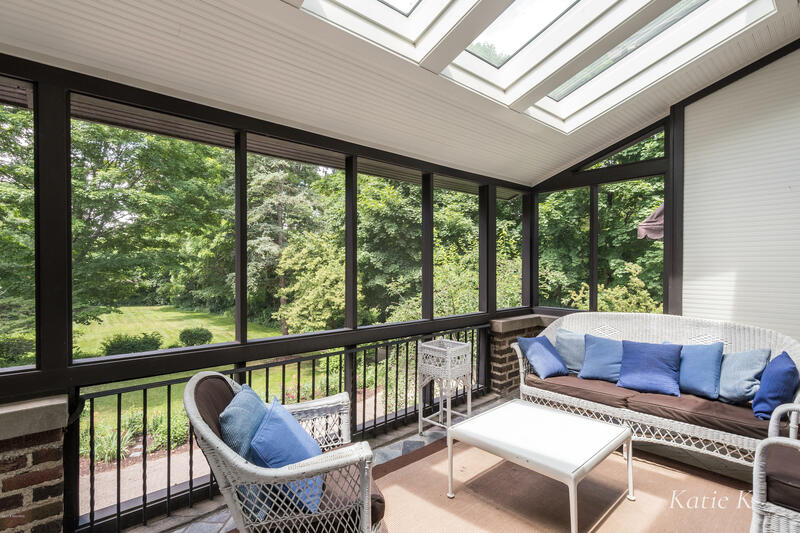 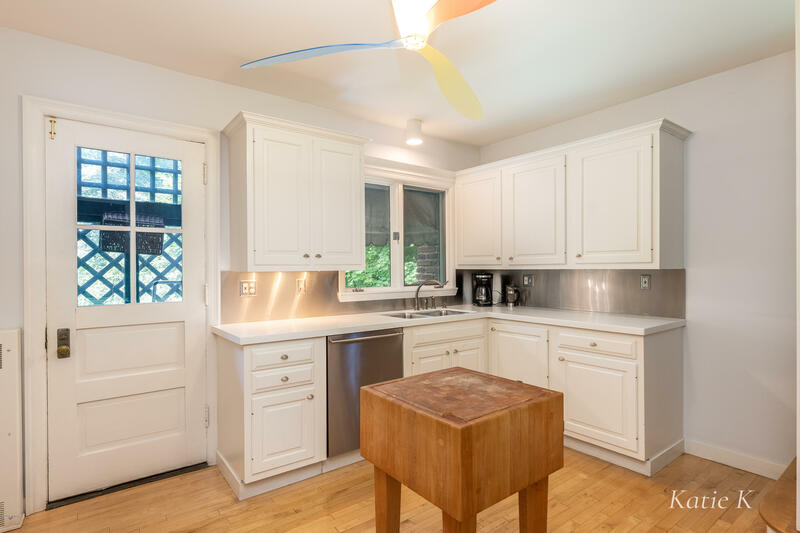 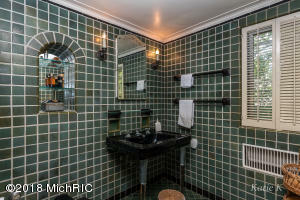 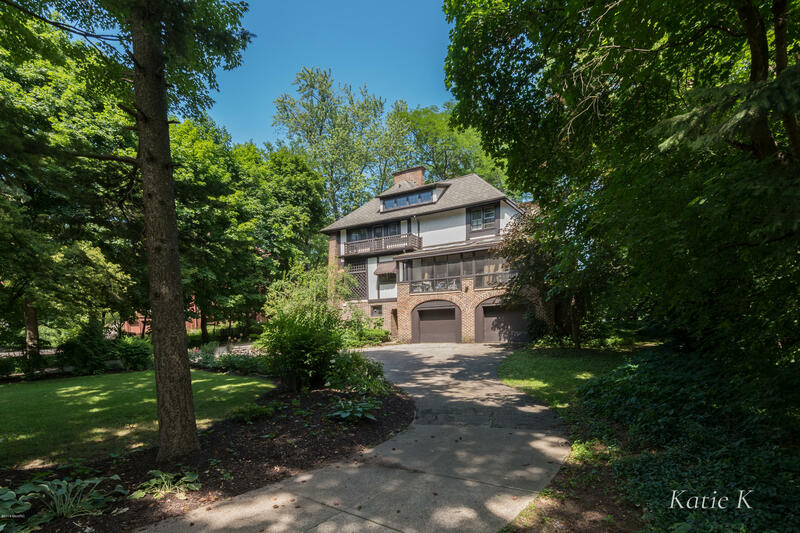 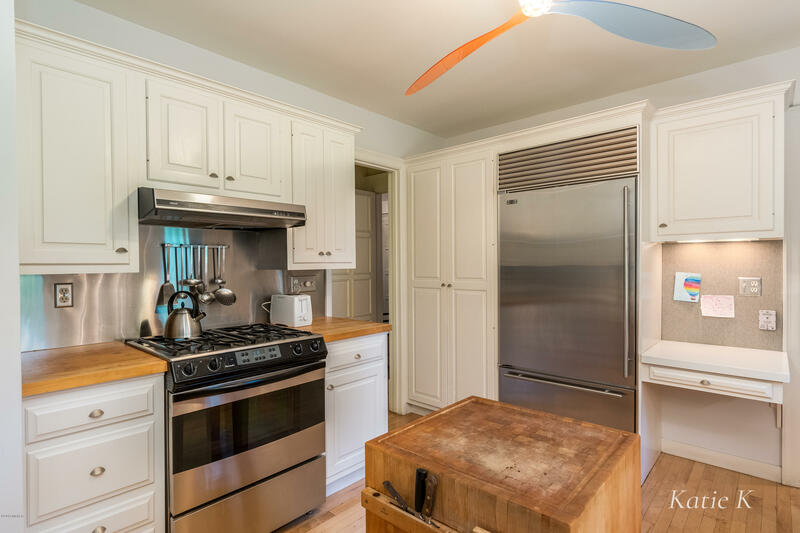 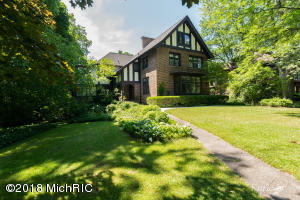 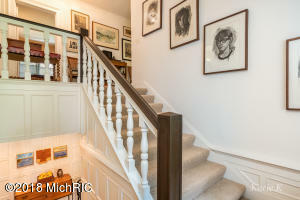 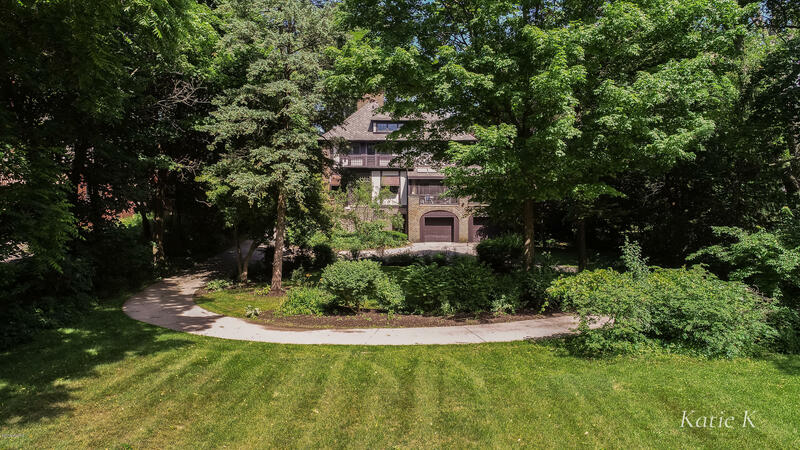 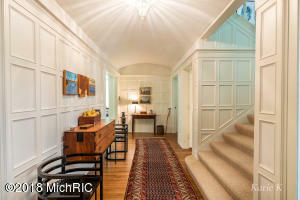 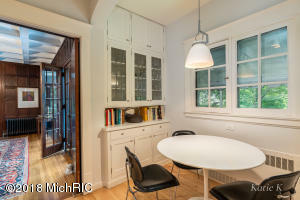 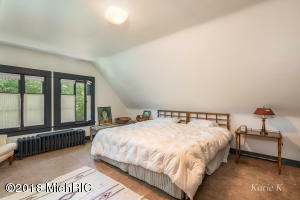 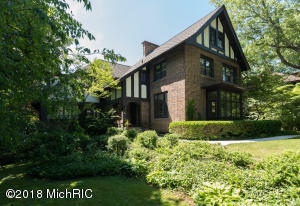 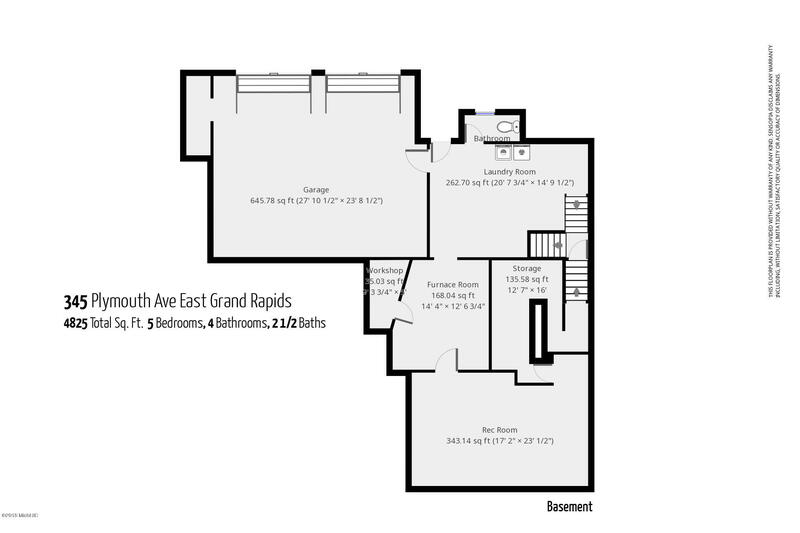 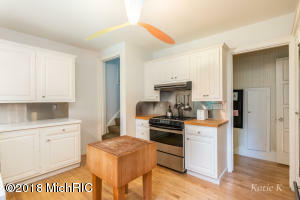 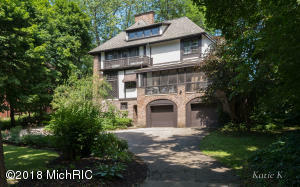 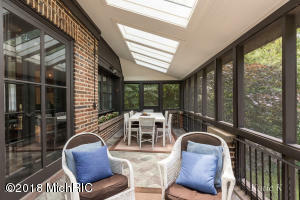 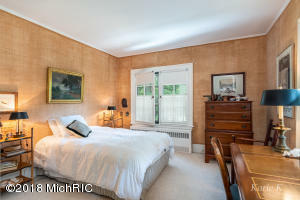 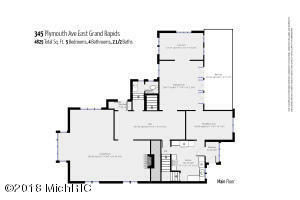 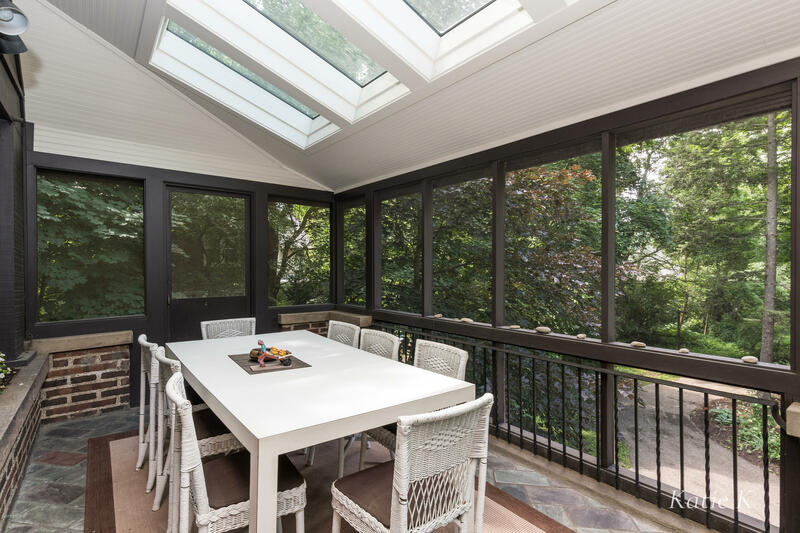 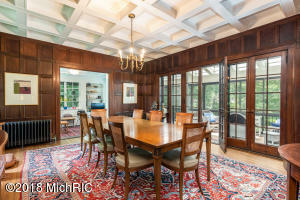 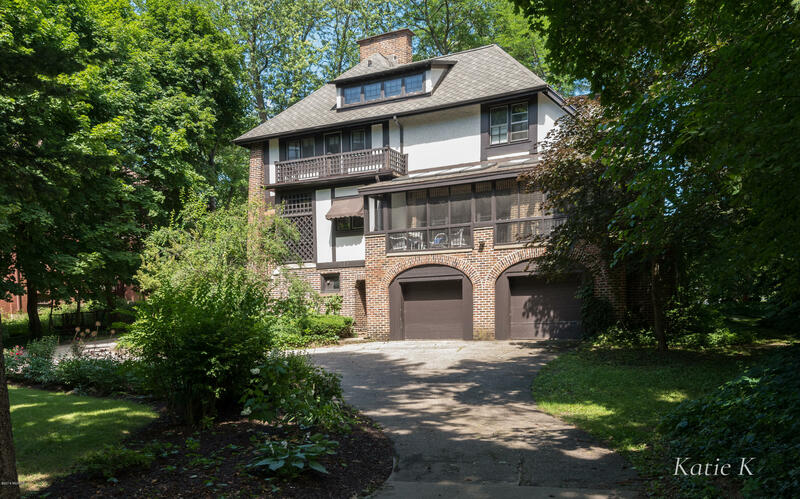 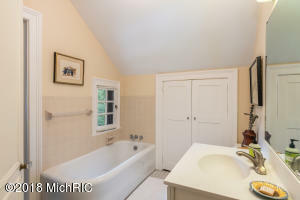 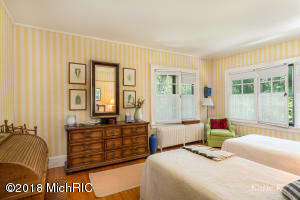 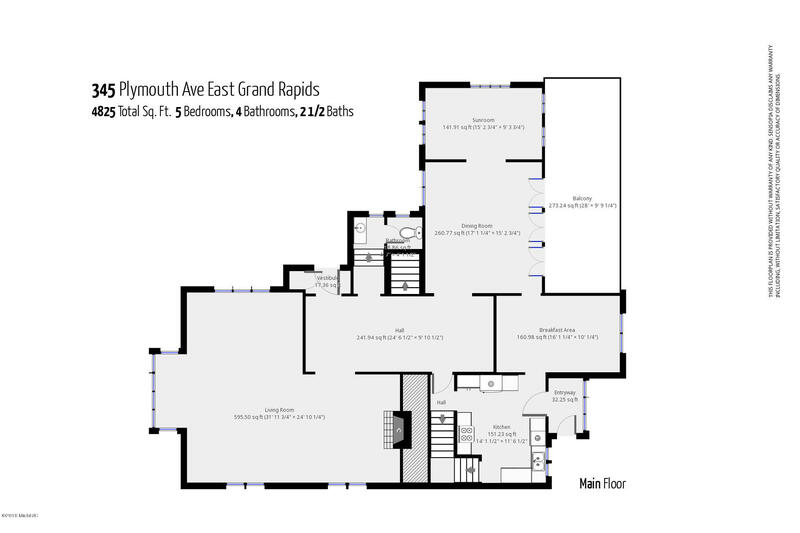 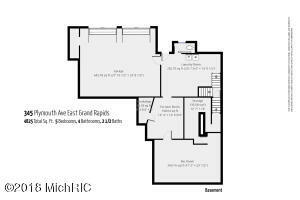 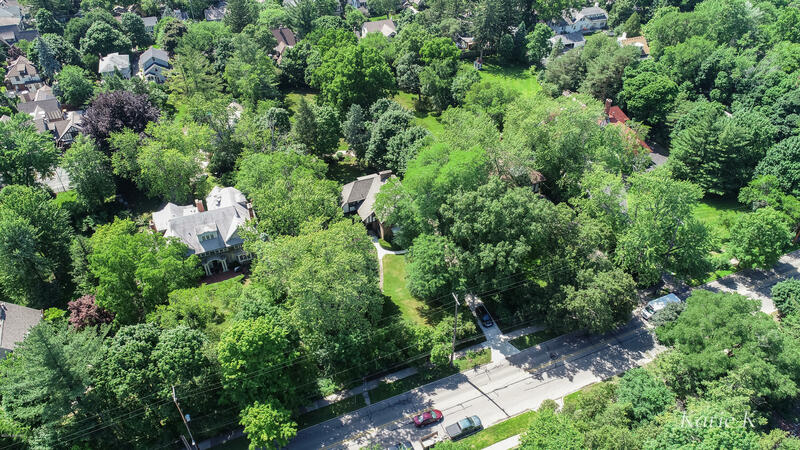 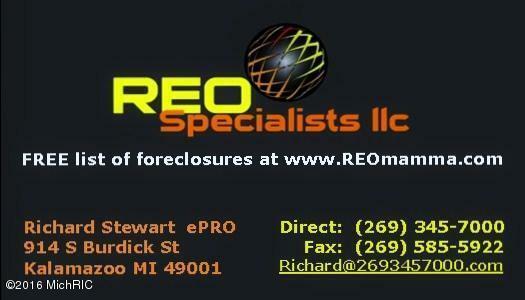 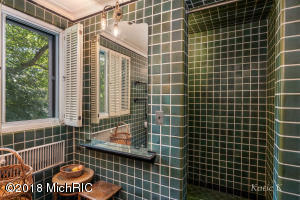 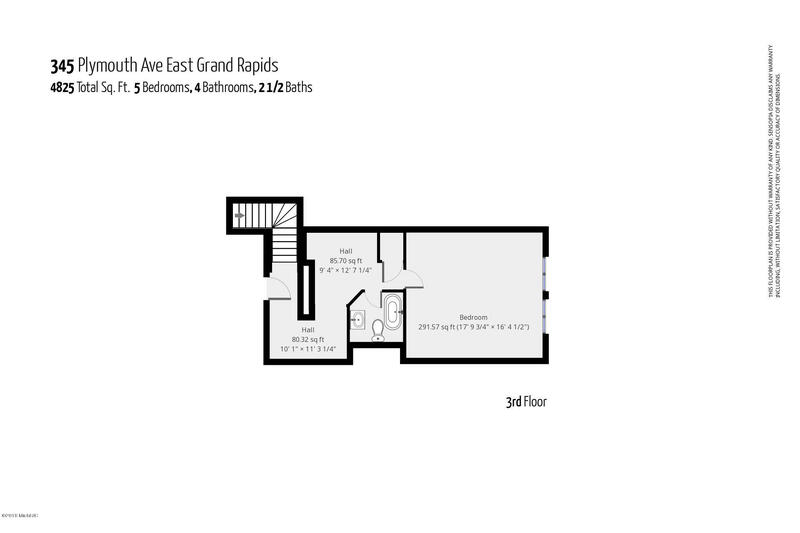 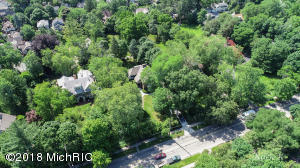 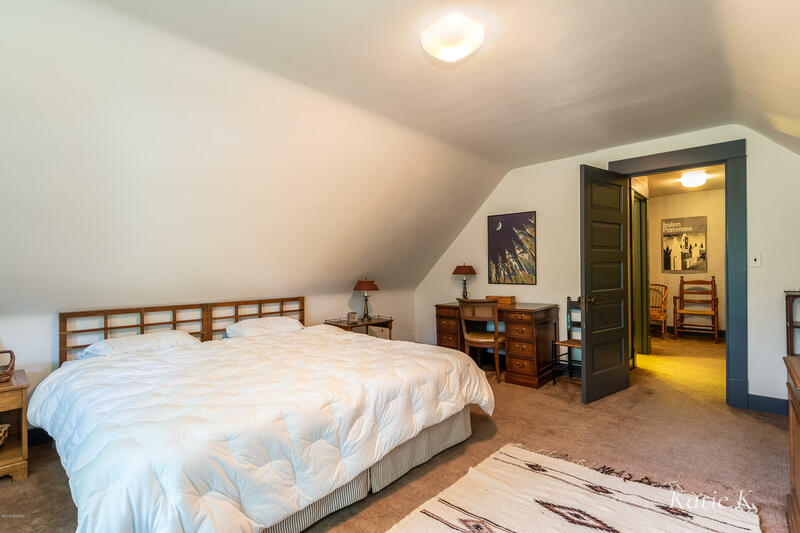 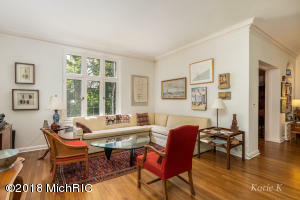 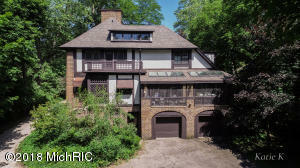 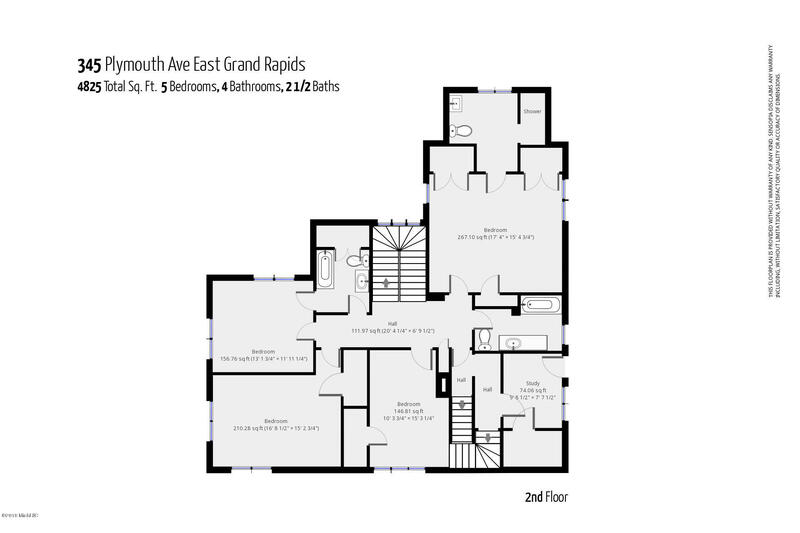 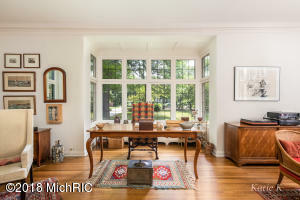 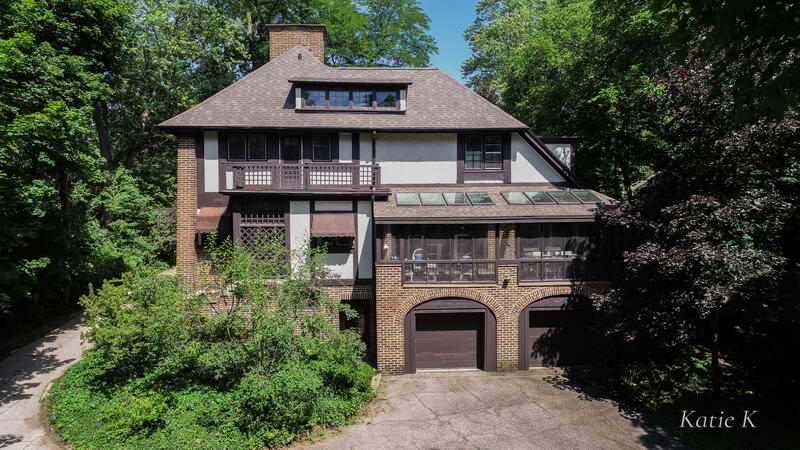 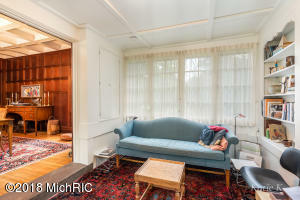 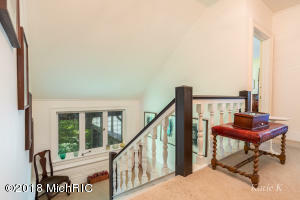 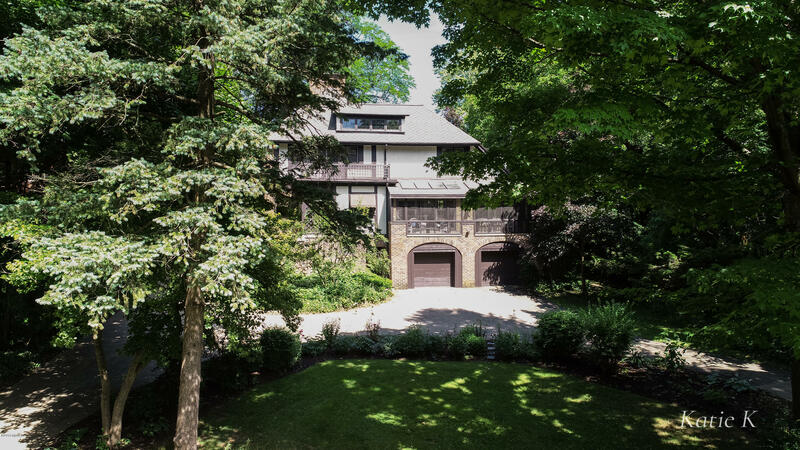 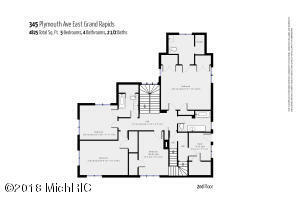 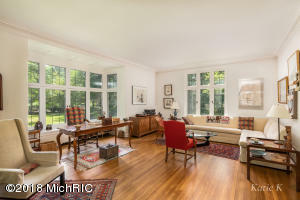 Located in the Heart of the East Grand Rapids Community, this home was built in 1907. 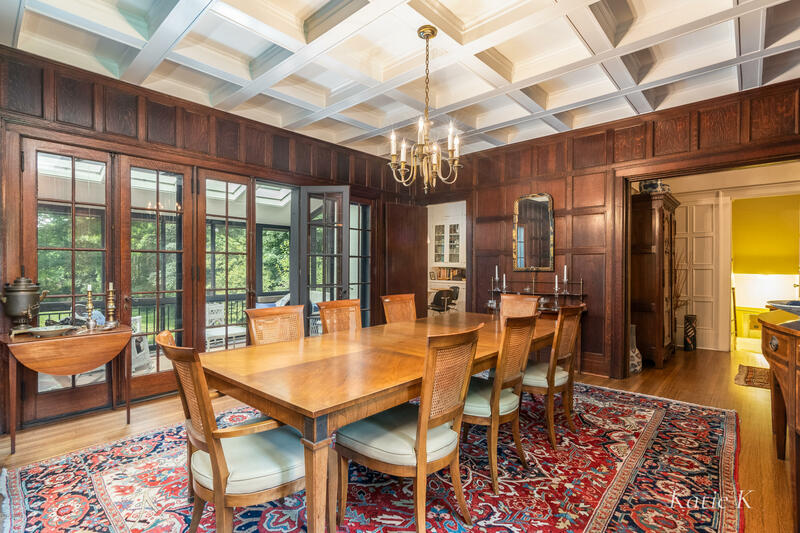 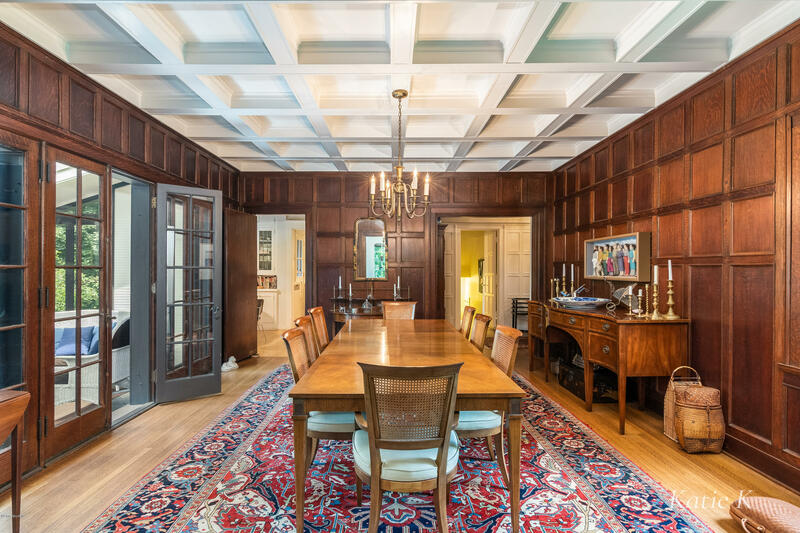 This Tudor style architecture was originally designed by European-trained architects; and this home certainly feels very European inside. 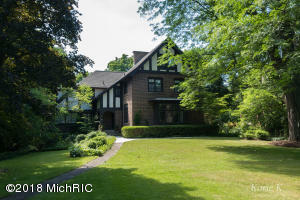 It was built with solid masonry and elaborate decorative stone and brickwork. 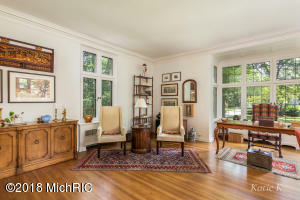 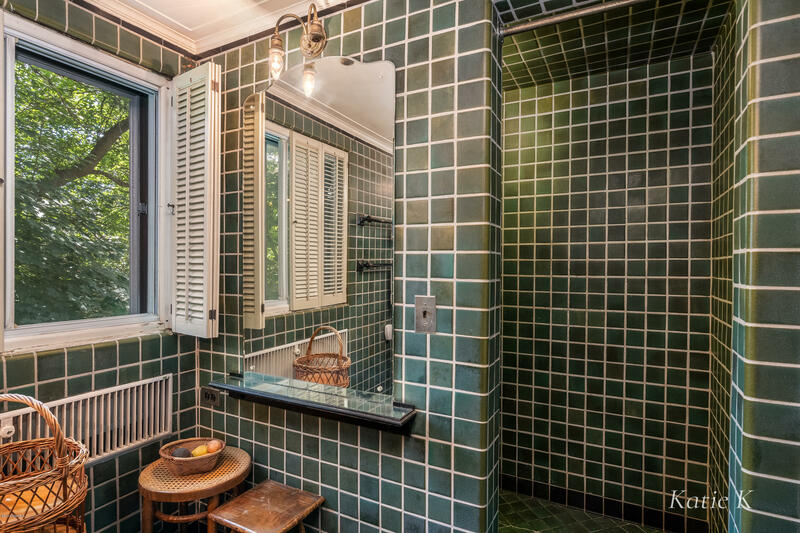 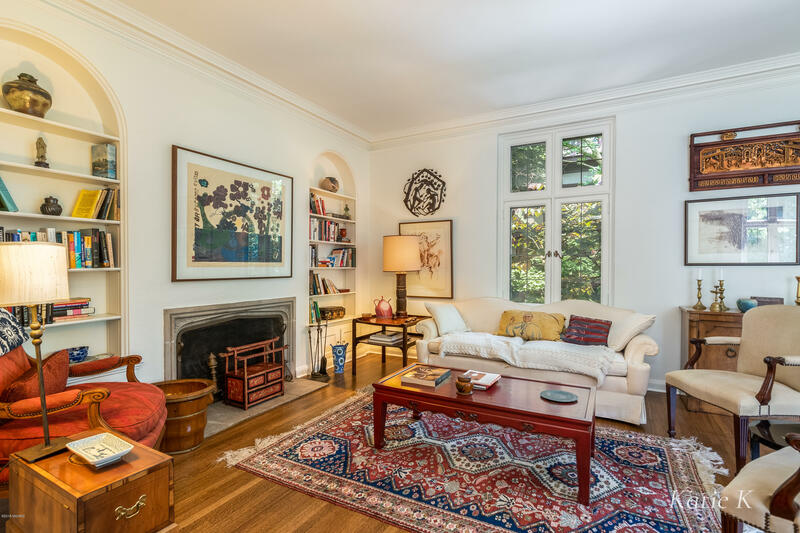 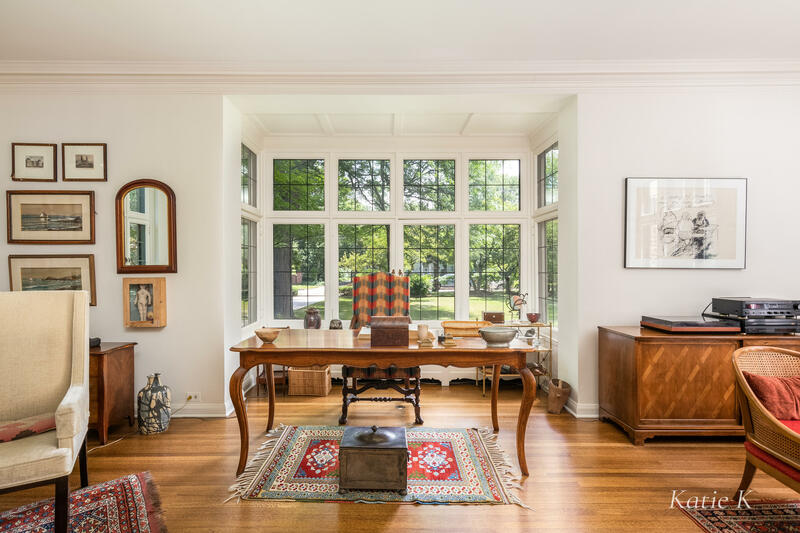 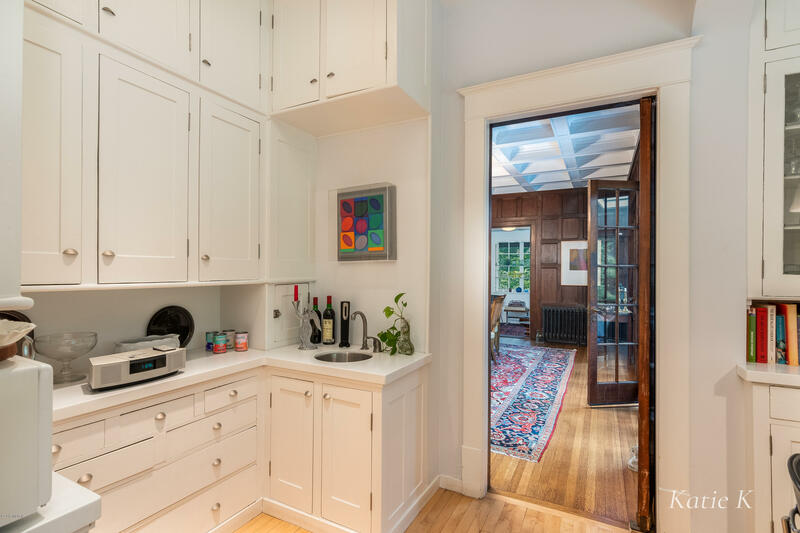 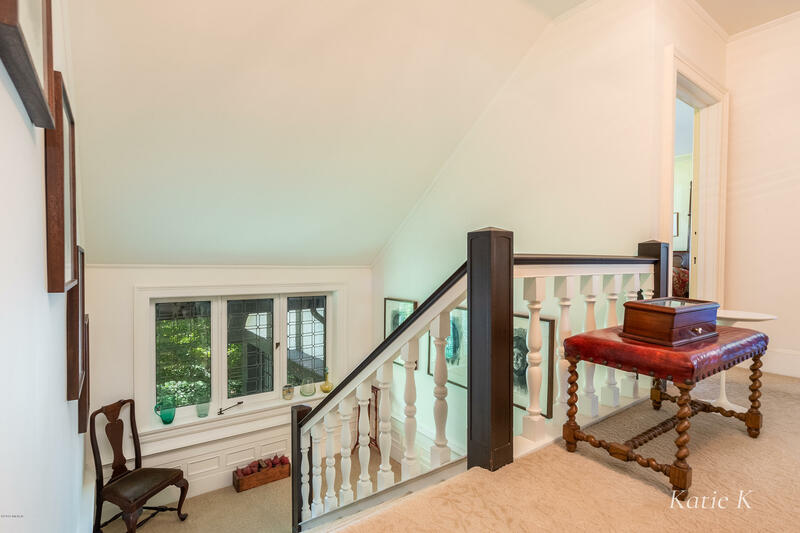 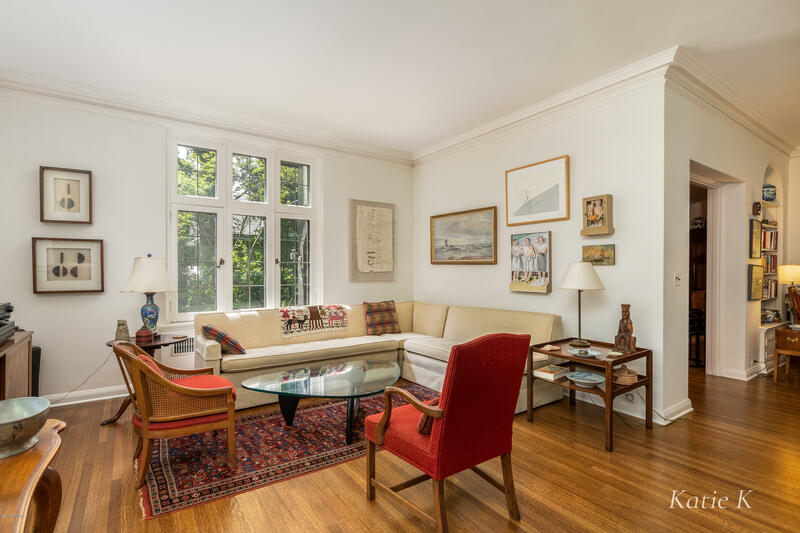 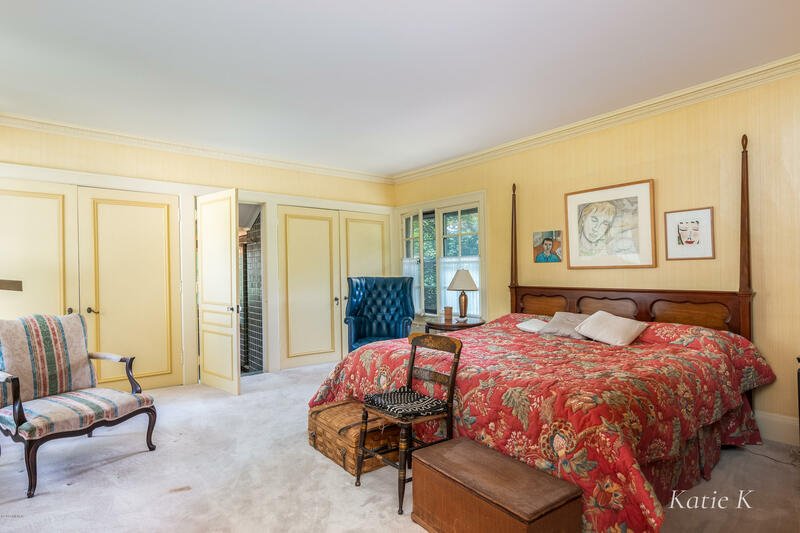 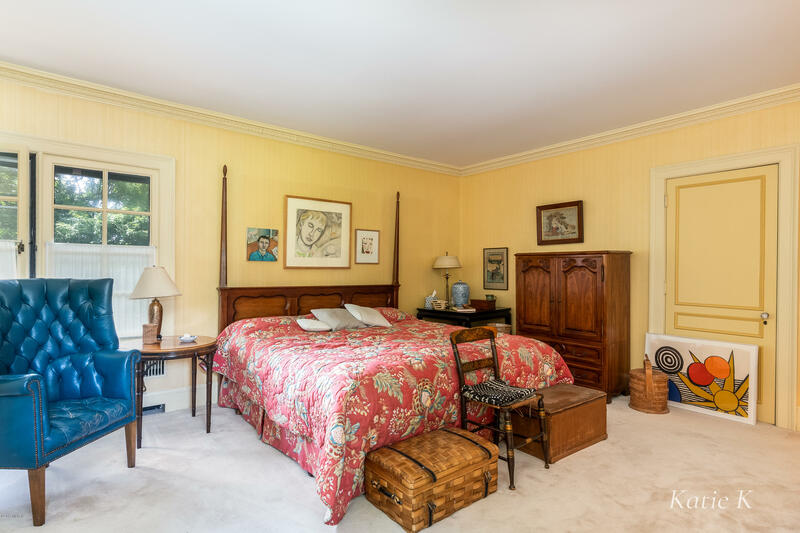 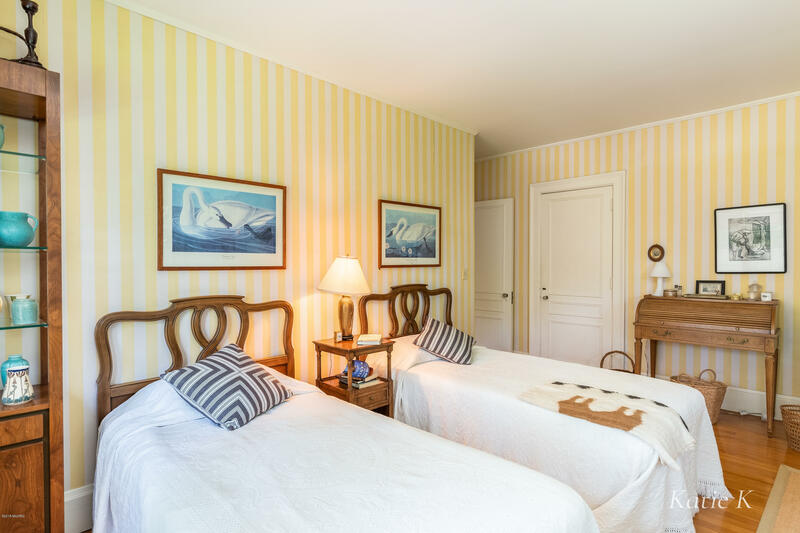 The interior has beautiful leaded windows and detailed turn-of-the-century woodwork. 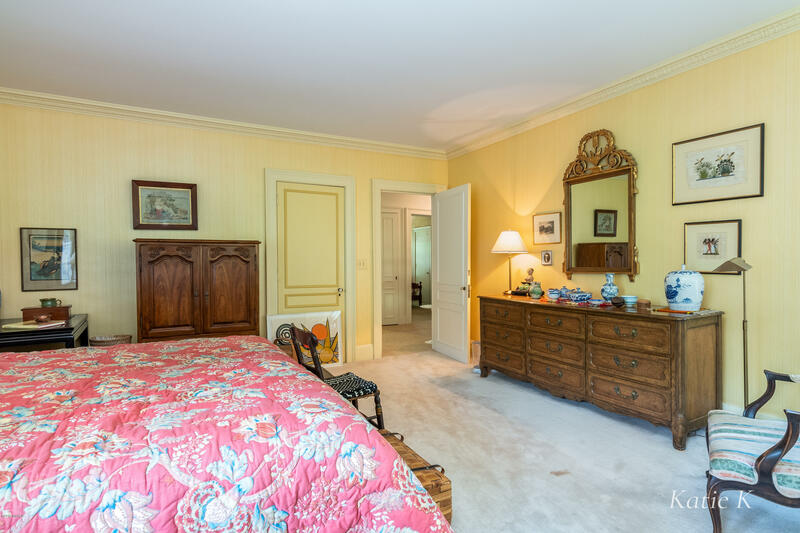 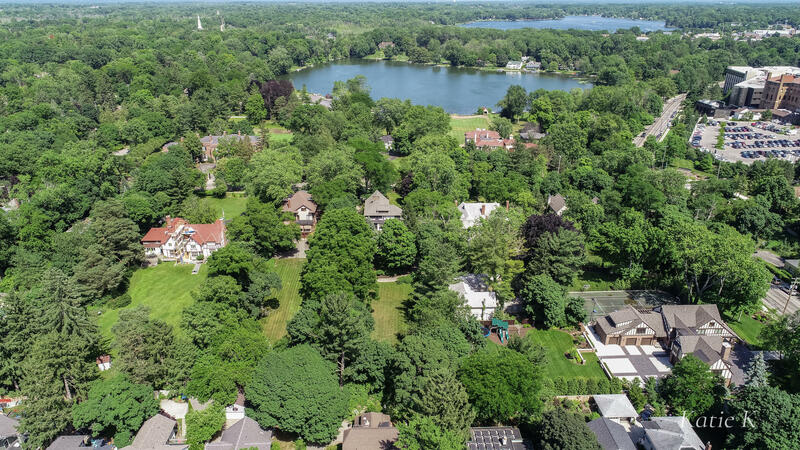 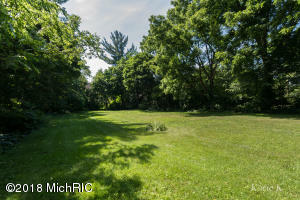 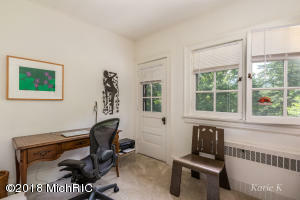 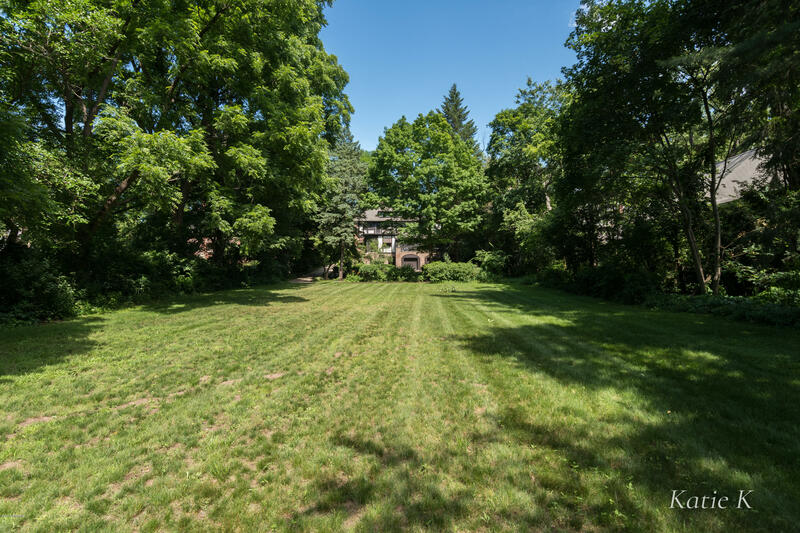 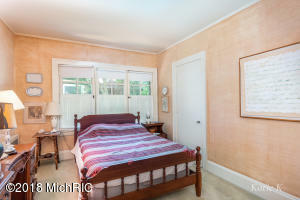 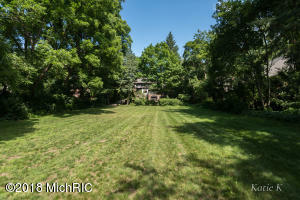 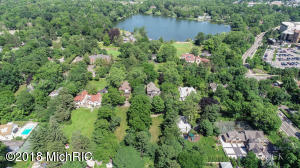 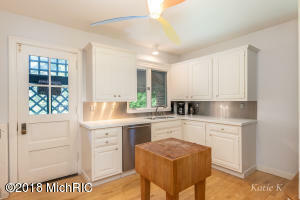 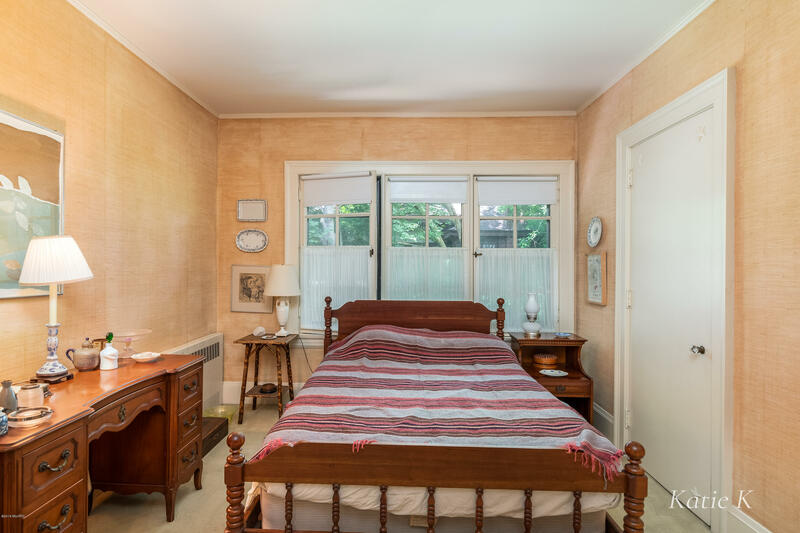 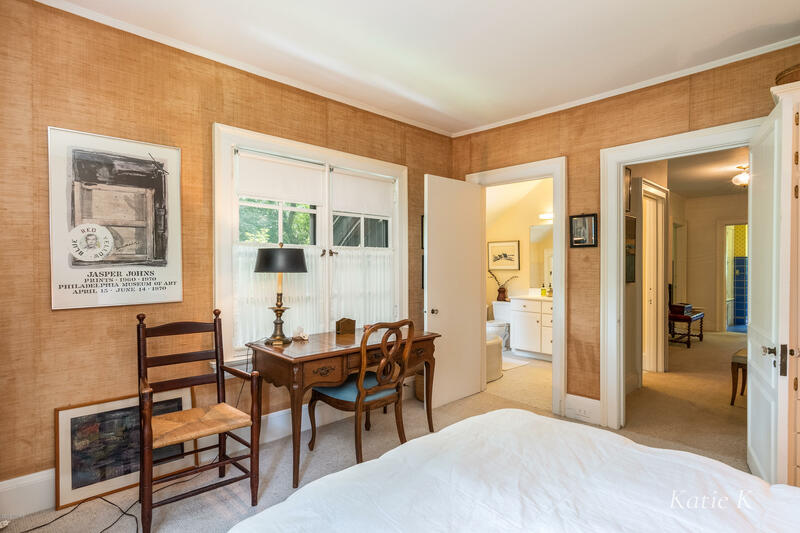 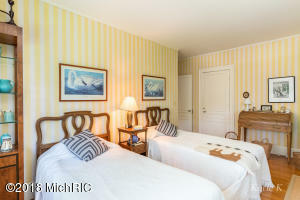 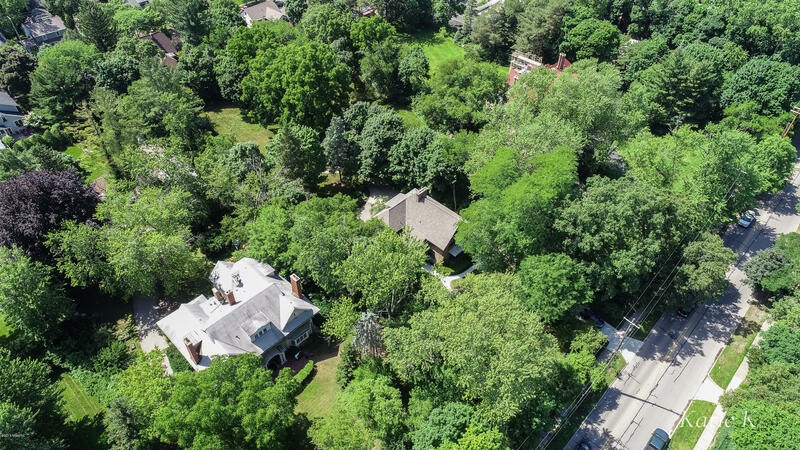 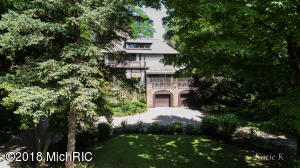 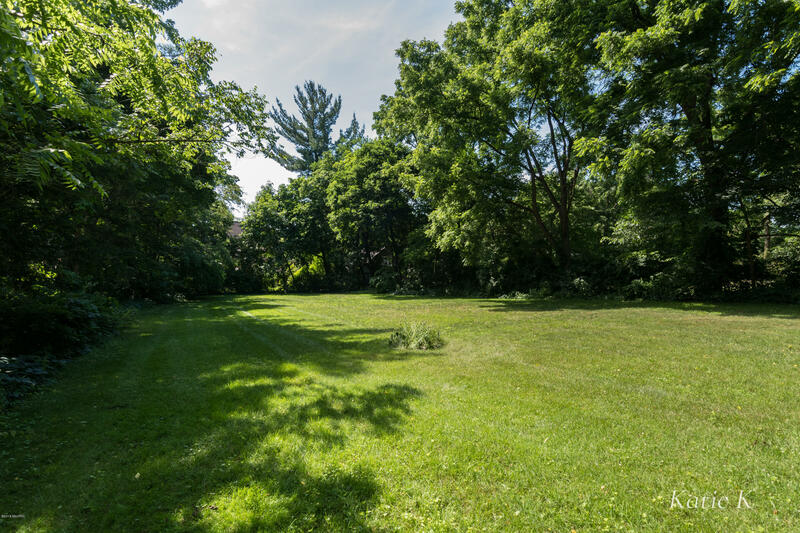 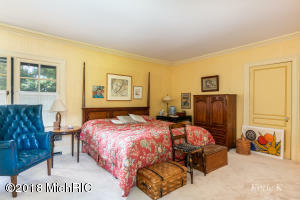 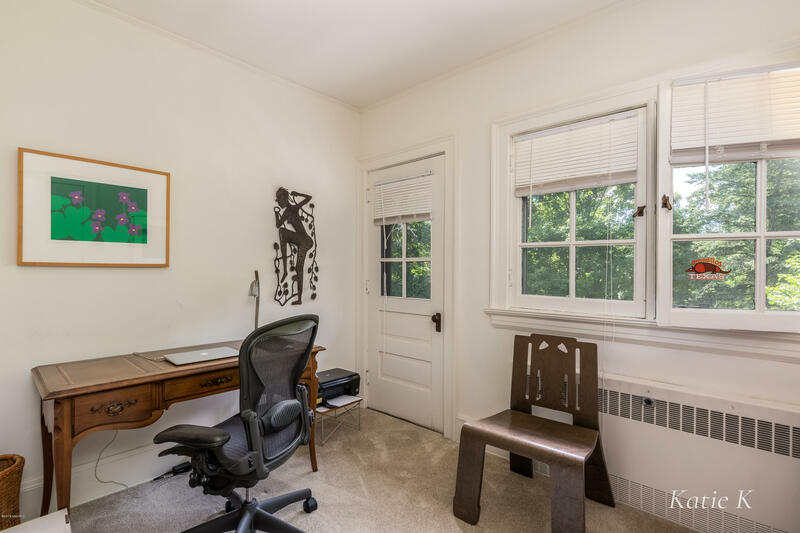 Sited on an acre of property with century old trees, manicured lawn and gardens. 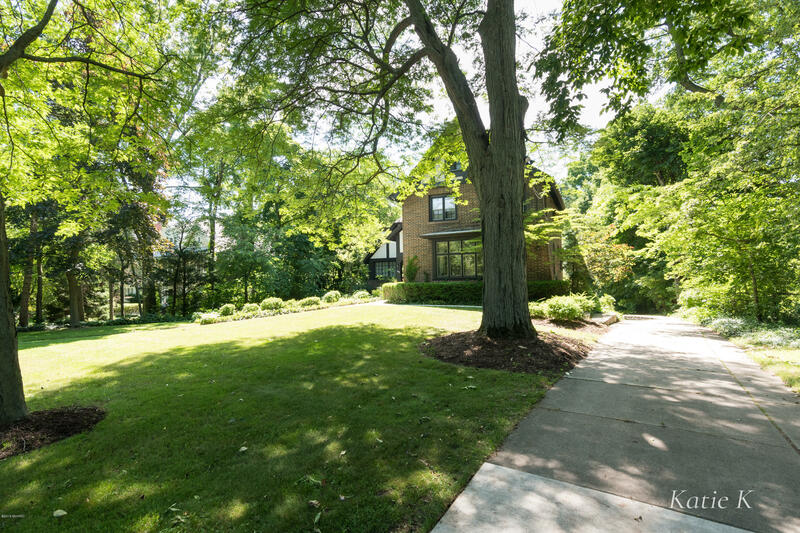 The newly poured sidewalk leads you to the formal entrance of the home. Once inside, the 12 ft. ceilings create a spatial feeling throughout the main floor. The formal living room centered around a stone fireplace, also accommodates two additional conversation areas--ideal for entertaining.